Grand Master Donald Wayne Broughton, son of Carlton Edwin and Katherine Holly Broughton, was born August 6, 1952 in Shreveport, Louisiana. His childhood years were spent in North Louisiana with his two brothers, Tommy and Dennis, and his sister, Shirley. He is a proud graduate of Homer High School and Louisiana Tech University where he received a Bachelor of Science Degree in Business Administration in 1974. While attending Louisiana Tech University, he met and married Susie Brewton. They have two very talented sons, Kris, 33, and Karly, 26, and one grandson, Brooks Wayne, 4, the joy of their lives. Putting God first in his life has always been a high priority of Grand Master Broughton. He faithfully taught the children’s Sunday School class for eight (8) years at the First Baptist Church in Winnfield, Louisiana before moving to Texas. After moving to Texas, he served as a Sunday School Teacher, Vacation Bible School Teacher, Interim Choir Director, and Elder at the Faith Bible Church in Caddo Mills. He continues to be a member of the First Baptist Church in Caddo Mills. After graduation from Louisiana Tech, Grand Master Broughton was employed as the Manager of T.G. & Y. Corporation in Shreveport, Louisiana. His love for music later led him to an Office Manager position at Williams Music Company in Shreveport. He is a lifetime Commissioned Notary Public in the State of Louisiana. From 1978 through 1998, he was employed by L. L. Brewton Lumber Co., Inc. as a Production Cost Analysis, Sawmill Division, in Winnfield, Louisiana and then as the Plant Manager, Texas Division, beginning in the summer of 1987. He is the President of Donald Broughton Enterprises, Inc. and a Realtor with Coldwell Banker Residential Brokerage in Rockwall, Texas. He is a member of the National Association of Realtors, Texas Association of Realtors and Metro-Tex Association of Realtors, and holds the following certifications: Negotiation Specialist, e-Marketing, and One America-“At Home with Diversity”. Music definitely lives in the heart of our Grand Master. Several bands in the Ark-La-Tex area have claimed him as their lead guitarist and lead vocal. This talent gained him a position with the Staff Band of the famed Louisiana Hayride where he played lead guitar in the mid-1970. He traveled throughout the Ark-La-Tex area for over ten (10) years playing country clubs and College Union Boards with the “Kansas City Southern Band”. Although he has limited time to play these days, he still enjoys playing acoustic guitar when presenting programs for lodges and Eastern Star Chapters. If he wasn’t working or singing, he was fishing. This hobby landed him a position on the Tidecraft Bass Pro-Team from 1984-1986. The Grand Master confesses that Susie was always a better bass fisherman than he was and that she usually out-fished him on most occasions. Grand Master Broughton was raised a Master Mason in Caddo Lodge No. 581 in Caddo Mills on June 21, 1990. Advancing immediately through the chairs, he served as Worshipful Master in 1994-1995. He is an Endowed Member of Caddo Lodge No. 581, Henry Thomas Lodge No. 728, and Milam Lodge No. 11, and is a Life Member of Excelsior Lodge No. 505. His other Blue Lodge memberships include Tranquility Lodge No. 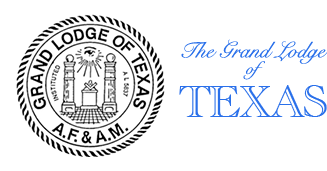 2000 where he served as the Charter Tiler, the Texas Lodge of Research and the Masters, Wardens, and Secretaries Association of Masonic District No. 8. Grand Master Broughton humbly received the Golden Trowel Award from his home Lodge, Caddo Lodge No. 581, in 1997. This most dedicated Mason has served his Grand Lodge on the Credentials Committee No. 2; Planning Teams for Grand Masters Cunningham, Nanny and Patterson; the Committee on Masonic Education and Service and District Education Officer of Masonic District No. 8. 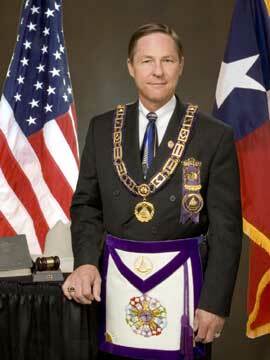 He is the Grand Representative of the Grand Lodge of Texas in Delaware and a Member of the Sam Houston Hall of Fame. Grand Master Broughton served as Grand Master Joseph Regian’s District Deputy Grand Master in 1997, Grand Master Harry Cunningham’s Grand Tiler in 1998 and Grand Master M. Boyd Patterson Jr.’s Grand Orator in 2003. He was elected Grand Junior Warden in 2004, Grand Senior Warden in 2005 and Deputy Grand Master in 2006. 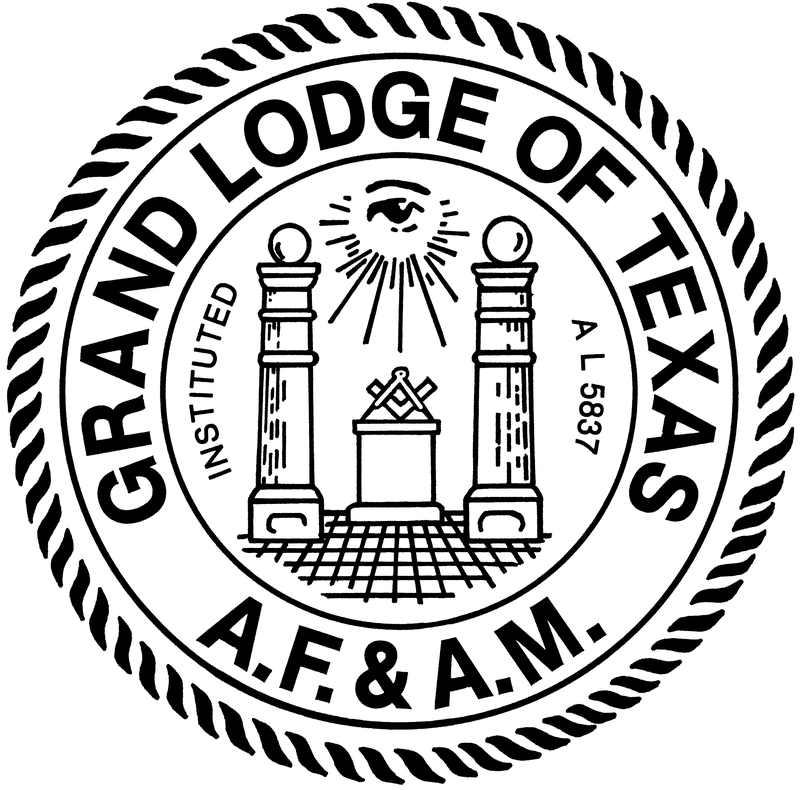 On December 2, 2006, he was installed as Grand Master of Masons in Texas. He is an Endowed member of the Dallas Valley of the Scottish Rite where he serves as the 16th Scottish Rite Degree Master. He was invested a Knight Commander of the Court of Honour in 2005. He is also a member of the Hunt County Scottish Rite Club. His York Rite affiliations include Past High Priest, Greenville Chapter No. 114, Royal Arch Masons; District Deputy Grand High Priest, Capitular District No. 11; Greenville Council No. 68, Royal and Select Masters; DeMolay Commandery No. 20, Knights Templar; Rose of Sharron Council No. 49, Knight Masons; Lyle L. Cross York Rite College No. 147; Col. William Barrett Travis Council No. 344, Allied Masonic Degrees. 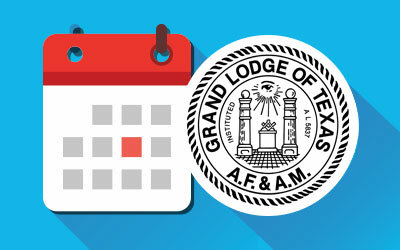 Grand Master Broughton’s Masonic memberships also include the Hella Shrine, East Texas Shrine Club, Order of the Eastern Star, Grand Representative Association of Texas, Saint Mark Conclave of the Red Cross of Constantine, Texas College of the Sociatas Rosicruciana in Cibitatibus Foederatis, Au die Leon Murphy Chapter No. 112 of the National Sojourners. Goliad Camp of the Heroes of ’76, and the Alla Grotto. He is a Past Patron of Caddo Mills Chapter No. 82, Order of the Eastern Star and served as the Grand Representative of Australia in Texas during 2000-2002. Grand Master Broughton received the DeMolay Legion of Honor in August of 2006 and was honored to be elected the Co-chairman of the Conference of Grand Masters of Masons in North America to be held in Portland, Oregon on February 17-20, 2007. Grand Master Broughton holds a steadfast belief in the relevance of our great Fraternity and truly believes that Freemasonry is the most viable vehicle to promulgate social morality, ethics, spiritualism, brotherly love and charity to the members of our communities…men need Freemasonry and Freemasonry needs good men!